The wind is howling. Snow and ice is falling; and the temperature is dropping. Suddenly, you hear the sound of the energy in your home fading. The lights suddenly flick off, and all goes silent as you realize the grid has gone down. What sounds like the beginning of a horror film can potentially become reality if you rely solely on the grid to keep your house warm during a winter storm. If and when the power goes out, are you prepared to survive in freezing or subzero temperatures? No amount of insulation on the walls of your home is going to be enough to keep temperatures from dipping too low for survival, so you are going to have to take matters into your own hands. 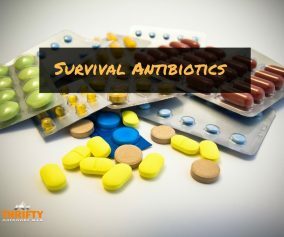 Luckily, knowing beforehand how to fabricate some DIY survival heaters and how to insulate against the cold will quickly give you an advantage in such scenarios. 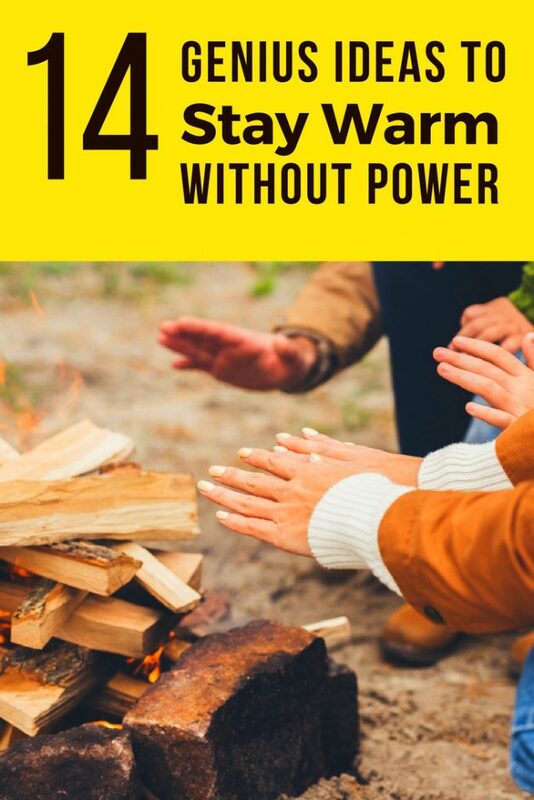 First, the most important thing to realize is that when the power is out, you are probably not going to be able to create enough energy from wooden fireplace or gas-powered electrical generator to properly heat an entire home. Not only is it expensive and time consuming, but even fireplaces and generators have a limit to what they can do. You won’t be able to heat your entire home—and so you should forget that possibility. In other words: heat one room. When everyone is in one room—you, family members, and pets—you can keep the door closed, pile up the clothing layers, get underneath blankets, and set up other means of cheap insulation. Plus, when everyone is sharing the same space and blankets, your natural body heat will be multiplied, helping to warm up the space you are in. Be sure to have draft blockers on hand and close the curtains. If you have a basement, you might consider moving down there, since the insulating quality of hard earth will keep the space warmer. Now, about that cheap insulation. 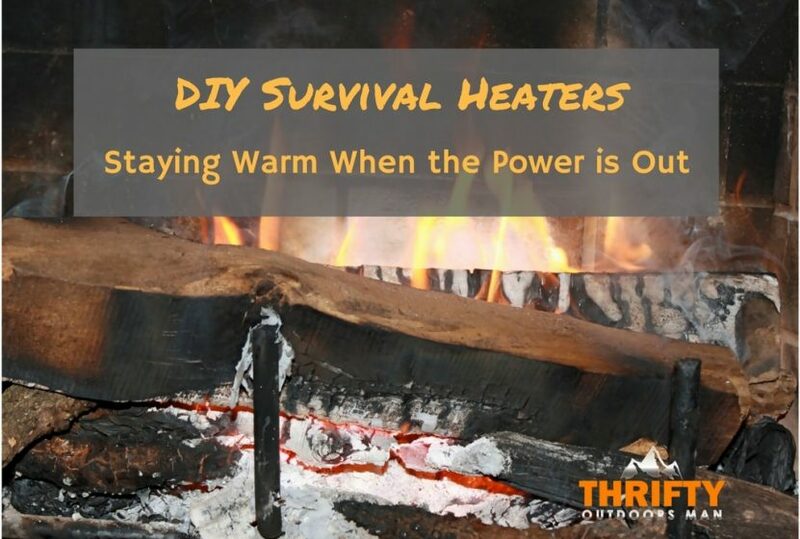 Aside from knowing how to build DIY survival heaters, which I’ll be talking about in just a moment, you should also have ways to retain that heat and keep as much warmth contained as possible. This means having cold weather supplies, such as tents, sub zero sleeping bags, Mylar thermal blankets, and survival blankets stashed away. Setting up a tent in your living room and stuffing it with a bunch of sleeping bags and thermals will keep you toasty, even without any other heat sources. Since the internet can’t save you when the power is down, learn how to build these survival heaters now. Commit these designs to memory or print them out, so you can be ready for that next winter power outage. 1. Put the tea lights on the metal pan. Light them. 2. Place the grill rack over the pan. 3. Set the small flower pot over the top of the grill rack, upside down. You want the open mouth over the tea lights. 4. Plug the drain hole in the small pot with the aluminum foil. Safety notes: Though warming up a terracotta flower pot might seem like a very safe option, there are a couple of things to keep in mind. If you are burning candle after candle, the wax can build up, get burned, and actually catch fire. 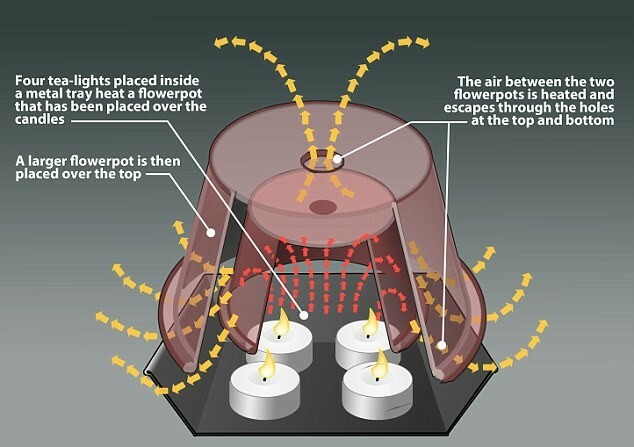 Also, anything beneath the pot will get extremely hot and could ignite, such as anything with a varnish. Be careful where you place this heater. To build it, simply take your tin can and stuff the roll of toilet paper inside. You don’t have to even remove the cardboard roll, if you don’t want too. Fill that space with even more TP. Once you have filled the can, pour alcohol over the toilet paper, saturating it. The paper will act as the wick. This emergency heater does a good job heating the air around it. Since the alcohol at the top of the can is on fire, the bottom of the can will stay relatively cool. 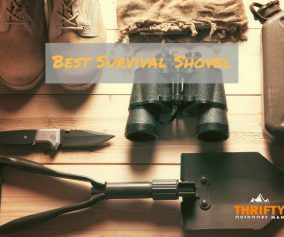 Though you will need a few of these to heat a room, the uncomplicated construction makes this one of the easiest survival methods. 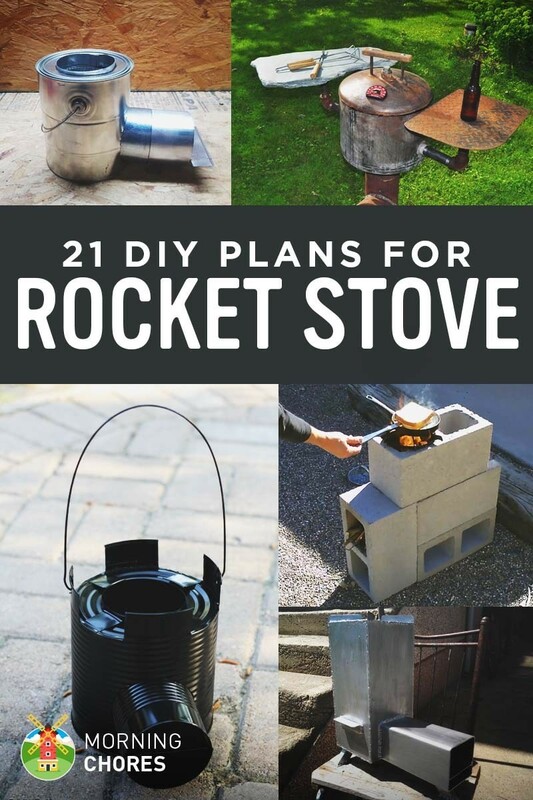 There are a huge number of rocket stove designs available for cooking with wood. But what about heating up a space inside your home when the power goes out? Some options are comprised solely of aluminum cans while others have to be made well in advance and are very heavy duty. 1. Remove labels from the cans. 2. Put something supportive into the gallon can so it doesn’t get dented when you hammer the nail into the side for your tin snips. Make the hole large enough to fit the soup can into. 3. Fold back the flaps around the hole. Poke the soup can through. Use pliers if necessary. 5. Fill the space between the gallon and bean can with ash or Perlite. 6. Cover the insulation material with the top of the gallon can (can a hean can-sized hole in the lid so it fits snuggly over the mouth while hiding the insulation material from view). 7. Cut vertical slits into the gallon to make tabs that can be folded down for ventilation and creating a mounting surface for a pot. Remember that you should never leave an open flame unattended. If you live in a climate where heavy snowfall is likely, then you should work to buff up your winter preparedness now. Be sure to have winter emergency items on hand, including sub zero sleeping bags, thermal blankets, pocket warmers, and more. 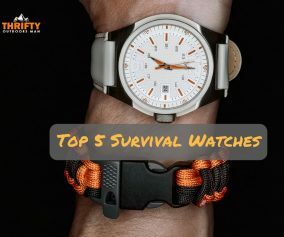 Then, if and when the power goes out, you can also employ one or many of the DIY survival heaters that can be made using random objects from around the house. With a little preparation, you can survive anything. Have any tips and tricks I might have missed? Let me know! 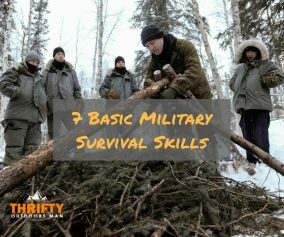 Also, if you have any cold weather survival stories, be sure to share. Wow, this is a fantastic article! I’ve looked at many different topics when it comes to survival, including always having multiple ways to make fire, but it never really occurred to me that there had to be ways to create temporary make shift heaters. I’m actually rather excited to try that terracota heater method. Thanks for the great article. It’s hard to come up with a “new” topic that hasn’t been done to death on survival but I think you nailed it! When you do the rocket stove put 2 one gallon can on top of each other it creates a longer chimney and make the stove much more efficient.